HarvardKey is Harvard’s new University-wide secure login credential—offering a streamlined user experience. Because safeguarding your identity is of the utmost importance to us, we have enhanced our security features to keep your information protected at the highest level. To navigate the site securely and seamlessly, claim your HarvardKey—your new Harvard login for life. To claim your HarvardKey, simply start here and follow the prompts to register with your Harvard credentials, including your 10-digit HAA ID, last name, and Harvard degree year(s) (any will work). Claiming your HarvardKey not only helps you safeguard your Harvard information, but it also unlocks the wide array of expanded alumni tools and features on alumni.harvard.edu. 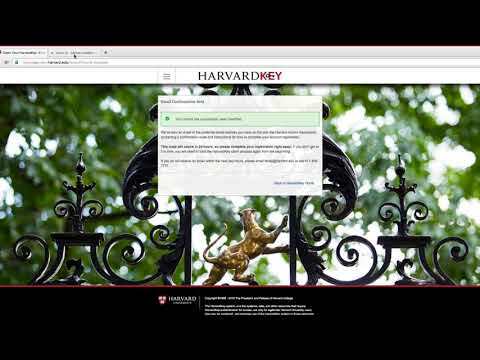 View this instructional video to learn more about how to claim your HarvardKey. HarvardKey unlocks a variety of new and improved online features to help you connect with the Harvard community, including the new Harvard Alumni Directory, an updated and more shareable Class Notes section and an enhanced Discussion Forums offering. Monday through Friday, 7:30 a.m.–8:00 p.m.